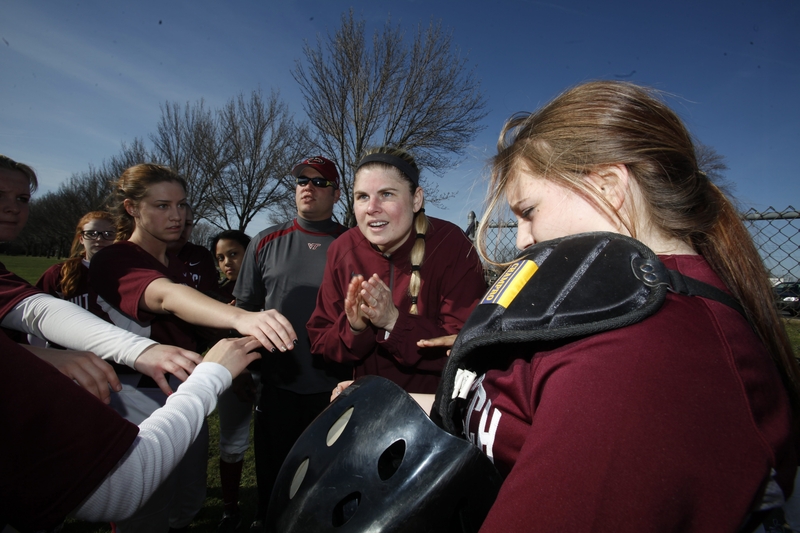 Kara Husband-Zimdahl brings years of experience playing softball at all levels to her first year as head coach at Hutch Tech in the Buffalo Public Schools. Kara Husband-Zimdahl has hit for the cycle of sorts when it comes to softball having played at the high school, college, Empire State Games and professional levels. Now it’s time to pay it forward. Hutch-Tech will be the beneficiary of her life experience as she begins her first season as a head coach in the Buffalo Public Schools. She teaches physical education K-8 at Loraine Elementary, School No. 72 on South Park Ave. in Buffalo. Husband/Zimdahl’s mentors as a player and a young coach read like a who’s-who of local coaching gurus — Mary Ann “Hoppy” Hopkins, Joe Catalano, Gerry Gentner, Earl Leising, Mike Rappl, Ray Hennessey and Larry O’Connor. “I can never repay these people,” she said. Husband-Zimdahl said he father used to watch her coach and did his best to convince her she had the gift. At Tech, Husband-Zimdahl sees a great deal of promise on the mound for eighth grader Laura Gregory and sophomore Gianna Zarcone. “I can’t wait to see where those two go,” she said. But her go-to player seems to be captain Alexis “Lou” Domros, who is a terror on the base paths and is smoothly making the transition from outfield to shortstop. Husband-Zimdahl, now 34, was a tremendous athlete for Holy Angels graduating in 1998. She played three years of basketball and softball before missing her senior year in both sports with an ACL tear. She played softball for four years at Manhattan College, playing on a Metro Atlantic Athletic Confernce championship team and going to the NCAA tournament as a freshman. For six weeks last summer she played in the Italian Professional Softball league for Collecchio, in the province of Parma. Husband-Zimdahl hopes her coaching career is half as rewarding as her playing career. She remembers plenty of her father’s former athletes approaching him years later and telling him how he changed their lives.